Efra, like new half of Cafe Racer Dreams, needed to have an ad hoc motorcycle in the style of his new house. 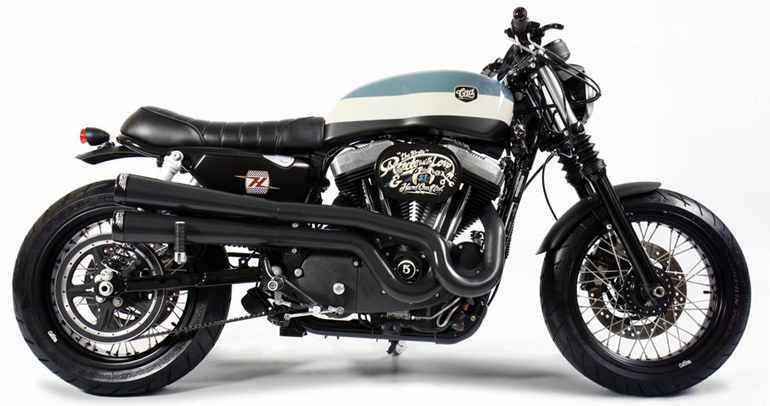 As he already had a Harley Davison Sportster Nighster, We thought that it would be the perfect base to get his bike, which in the end would be the CRD21 Cafe Racer. 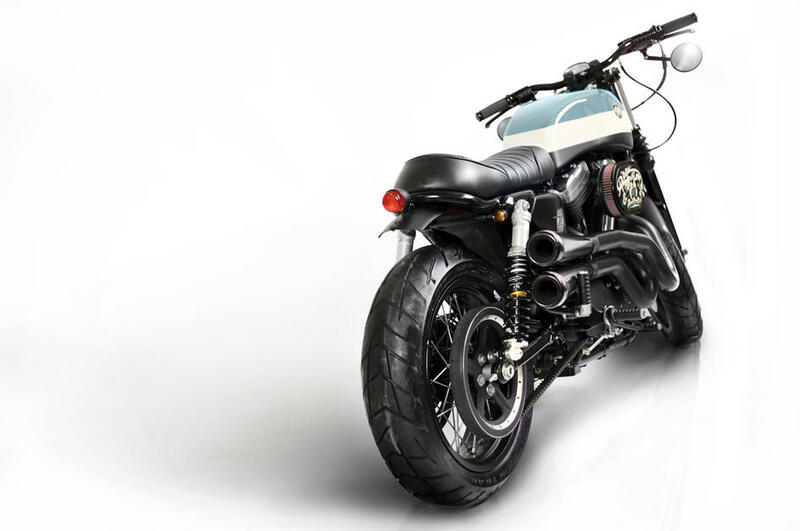 After thinking a lot about it, we found the perfect formula to rebuild this bike and this consisted on building a new subframe, the seat had to be hand made, the exhaust pipes placed on top, and putting 17-inch wheels that will give a much more sporty look. As it could not be otherwise, the work of painting was, simply, perfect: three colors, white, black and blue, with a sober, elegant and sporty result at the same time. We can also see a handmade lettering, very common and habitual today, but this was a revolution three years ago. And, of course, with a whole statement of intent ahead. Motorbike that for its impeccable beauty, has been used in several sessions of photography in fashion reports. You can also read the great article that Bike Exif dedicated to CRD21 Cafe Racer here.